The Craft of Editing offers a rare insight into the unique dynamic between author and editor. 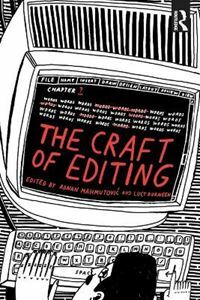 In this illuminating book, Adnan Mahmutovic and Lucy Durneen lead a cohort of industry experts to bring transparency to the mystique that often surrounds the craft and practice of editing. Using genuine case studies from published works - including annotated manuscripts - this book prepares writers for potential dialogue and critique from editors. The Craft of Editing follows the journey from rough draft to publication, an essential part of any writing experience, while showing the singular and authentic approach each editor takes. Using original pitches, debates, emails, and instant messages to shed light on the collaboration between authors and editors, The Craft of Editing is an indispensable tool to creative writers and students alike.